To everything there is a season. A time to be born, a time to die ... and a time to have a bloody good moan. 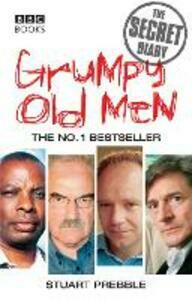 Following the huge success of Grumpy Old Men, Stuart Prebble, writer of the highly acclaimed TV series, gives us a more in-depth look at what it's really like to be a pissed-off man of a certain age. In painstaking detail, he takes us through a year in the constantly irritated life of a Grumpy Old Man, recounting the manifold vexations and absurdities he has to put up with in the perpetual torment that we call modern living. Drinks parties, holidays, hospital visits, his children's misdemeanours, buying presents for the wife, watching television, attempts to visit the gym, trips to the shops, the trials and tribulations of everyday life - each event has something to tip him over the edge. Stuart's diary proves that grumpiness is not just an occasional mood or a temporary feeling, but a way of looking at the world, and will strike a chord with all those who are proud to call themselves Grumpy Old Men.